Brushing your teeth is a fundamental habit when it comes to keeping your teeth and gums in perfect shape and in pristine condition. Spokesperson for the American Dental Association Richard H. Price, DMD remarks, “It takes times to brush effectively.” Done properly and long enough, brushing your teeth dramatically reduces the risk of tooth decay and periodontal disease. As important as frequency and regularity are, cultivating the proper brushing techniques maximizes the long-term dental health advantages. Proper brushing starts with choosing the right toothbrush. With the many available types of toothbrush available in the market, it is advisable that you find one that fits comfortably in your mouth. Generally, a good toothbrush, according to Price, consists of softer that regular bristles. 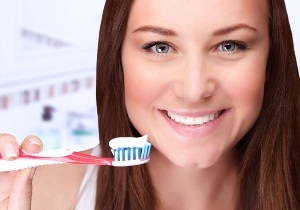 Use these following tips to improve your daily brushing routine. Make sure you your brush your teeth with a clean toothbrush. For more rigorous cleaning, wash the bristles of you toothbrush with just enough hand soap. Rinse thoroughly after. Make it a point to always brush your teeth at least twice a day. Some dentists recommend that it is even better to brush your teeth after every meal. Make sure that you brush your teeth for at least 3 minutes. Also, spend enough time flossing the in-between-spaces of your teeth. Avoid brushing too roughly and too aggressively. Instead, make sure that you brush your teeth gently so you don’t damage your gums. Use fluoride toothpaste when brush your teeth. Fluoride remineralises your teeth – thereby reinforcing dentin durability against tooth decay. Focus on properly cleaning every tooth surface with a toothbrush. Remember to brush your tongue to remove bacteria that causes bad breath. Replace your toothbrush after three months of use. If you find yourself requiring professional help in trying to figure out how to best brush your teeth, visit your local Dentist In Bondi at Bondi Dental. Built on the cornerstone of safe and highly effective dental practices, Bondi Dental provides a compressive range high-quality modern dental treatments. Contact us on 02 99365 7187. Or simply book an appointment online.